The Battle of Jutland started 31 May 1916 and ended on 1 June 1916. It’s considered to be the only major naval battle of World War 1. The British Navy lost more men and ships, but the verdict was that the German Navy lost and was never in a position again to put to sea during the war. 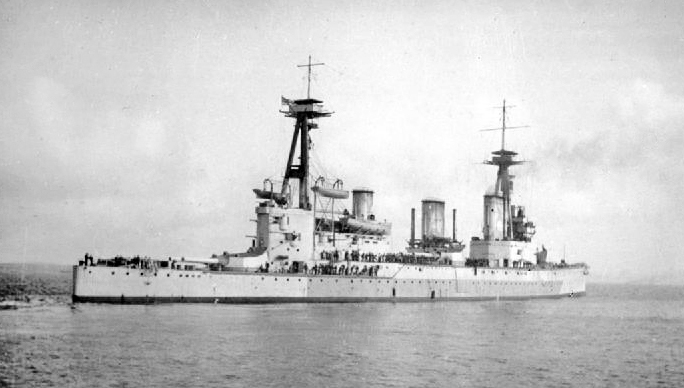 6,094 British men were lost, including 12 Cheltonians who were on board HMS Lion, HMS Indefatigable (pictured), HMS Fortune, HMS Queen Mary, HMS Defense and HMS Invincible.